Apple has announced the winners of its annual Design Awards, and there are some very happy app developers this morning. On Monday night at WWDC 2014, Apple announced the winners of its Apple Design Awards, and while some of these we had yet to hear of, we’re sure there all getting a bit more attention this morning. 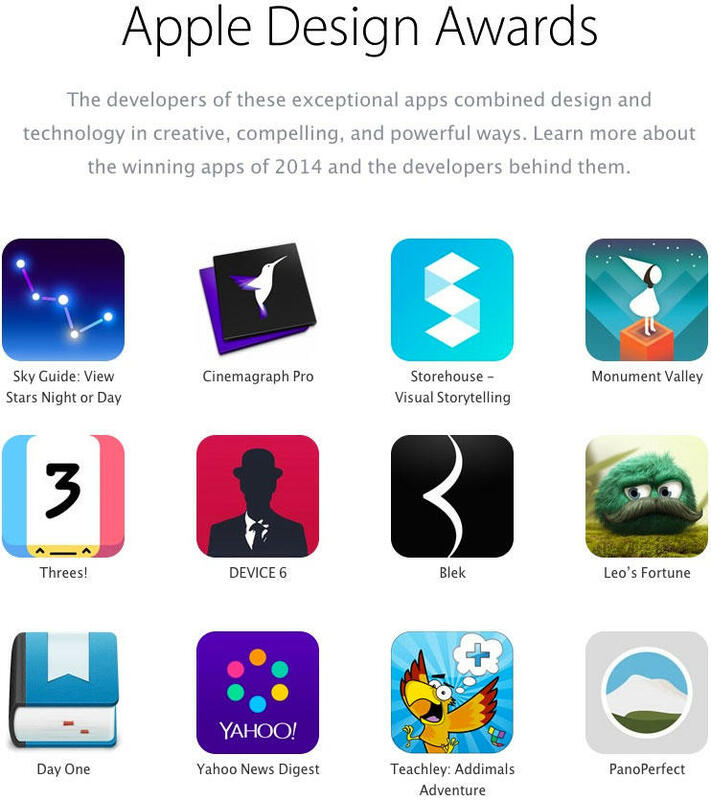 Only two Mac apps made the list with the remaining ones all supporting iOS devices. Along with a trophy and bragging rights, the winners also receive a wide array of Apple products to help them keep developing more apps and maybe having a chance at winning another award next year. Congratulations to all of the winners! You can see the full list below and what the award looks like down below courtesy of the folks from Threes.